Following the success of the so-called Happy Hour forum Friday, which put Vice President Jejomar Binay in the hot seat, a follow-up has just been announced. Set to be livestreamed on Thursday, September 10, the MVP media properties -- TV5, Digital5, Bloomberg TV Philippines, BusinessWorld, InterAksyon, Philippine Star -- will once again team up to quiz another potential player in the upcoming 2016 presidential race: Davao Mayor Rodrigo "Rody" Duterte. As was the case last week, the Happy Hour forum will be social media-heavy and will be carried by TV5's online video portal, News5 Everywhere. Media Newser Philippines caught up with News5 anchor and N5E Head Martin Andanar for a quick chat over the weekend to talk about the Happy Hour forum and whether this would be the touchstone for future TV5 forums. Media Newser Philippines: Hello, Martin! Explain to us your team's Happy Hour forum. Where did the idea come from? 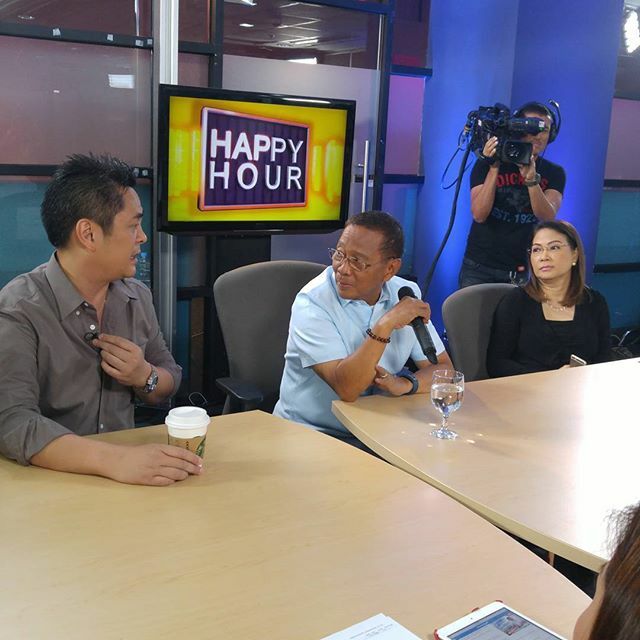 Martin Andanar: Happy Hour was supposedly the podcast and social TV version of your usual roundtable or fireside chat discussions on TV or radio broadcast. We originally conceptualized this to cater the social media audience. The idea evolved from getting all MVP media companies in one room with a candidate of our choosing. So, from podcast and social TV, management thought of switching on the platforms AksyonTV and Radyo5, making it a real deal 360 degrees coverage. MNP: Ultimately, what do you want to accomplish with HH? MA: Ultimately we want to deliver a no holds barred Q and A, not only from our media colleagues within the group, but also from our friends in the social media -- netizens. MNP: This is totally something new and inventive and it's safe to say that you pioneered this. As the head of N5E, what made you decide to have an online forum rather than the usual TV forum we see during election season? MA: An online forum gives us more flexibility when it comes to time. It also gives us direct access to our social media viewer, vice versa. MNP: Will HH be the touchstone for future forums made for TV5? MA: I think the first one was successful and it can only get better. I hope this will be the new norm for forums. I've always believed that involving the social media audience makes any discourse more vibrant. What happened to us and Vice President Jojo Binay last week was a very good test case and I can feel that 2016 will be a "social media election." MNP: Who are you planning to interview next? MA: We will have Davao City Mayor Rodrigo Duterte on Sept 10 at 1:30 PM. This is going to be an exciting one so make sure you are logged in on news5.com.ph for the live streaming.